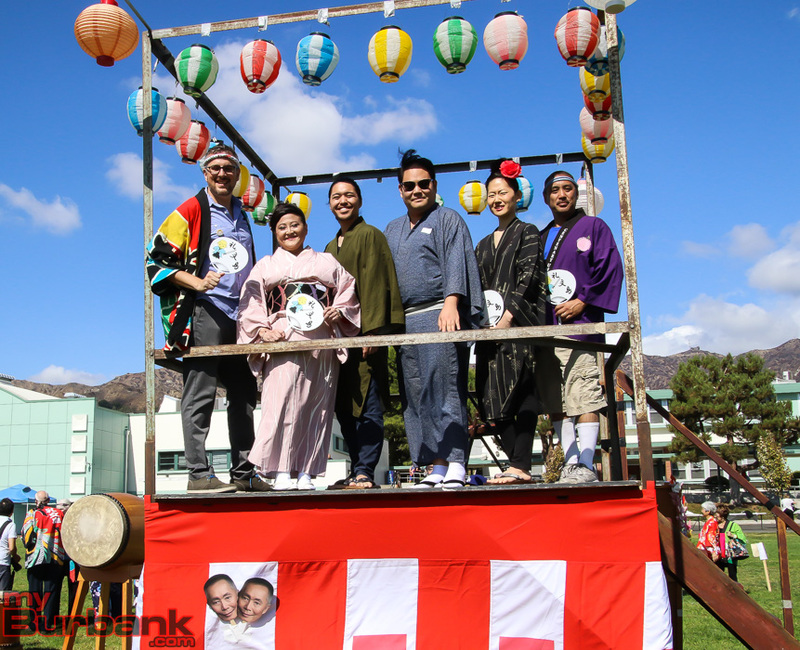 Students, staff and teen-aged visitors from Japan broke the Japanese Fan Dance Guinness World Record at John Muir Middle School on Thursday, September 21, as part of the school’s annual Japan Day cultural appreciation celebration. 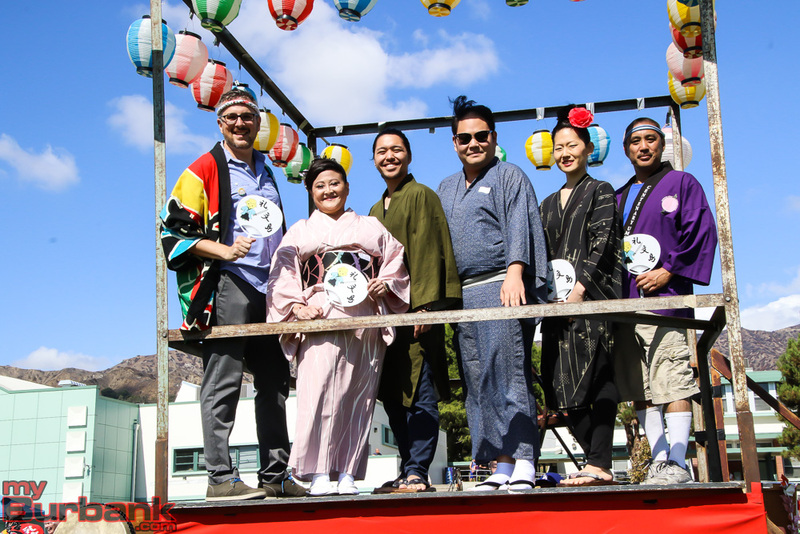 For the fifth straight year, Muir Middle School hosted students from the tiny Japanese island of Rebun with special classes and activities on Japanese culture and activities. 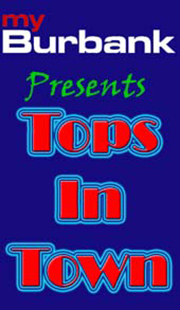 In the past, workshops have included flower arranging, tea ceremony and origami. 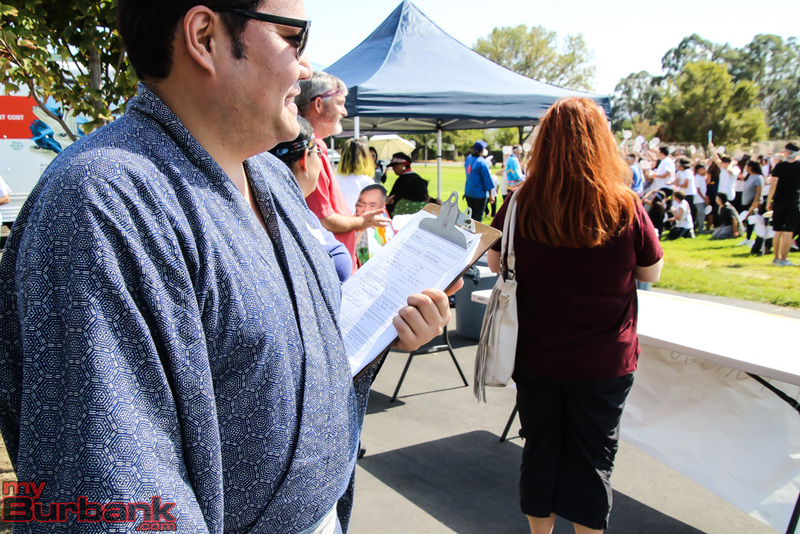 The 2017 Japan Day events included an anime workshop and a calligraphy class. 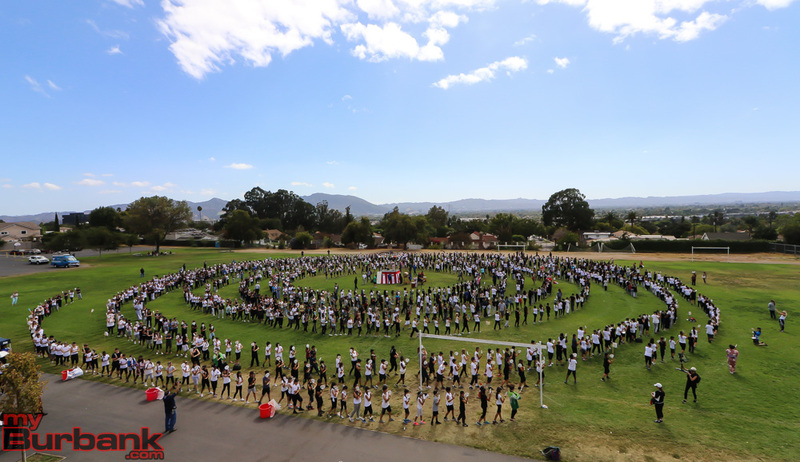 Then, in the afternoon, the entire population of Muir Middle School joined the eleven students and two teachers from Rebun for the Largest Japanese Fan Dance Guinness World Record breaking activity. 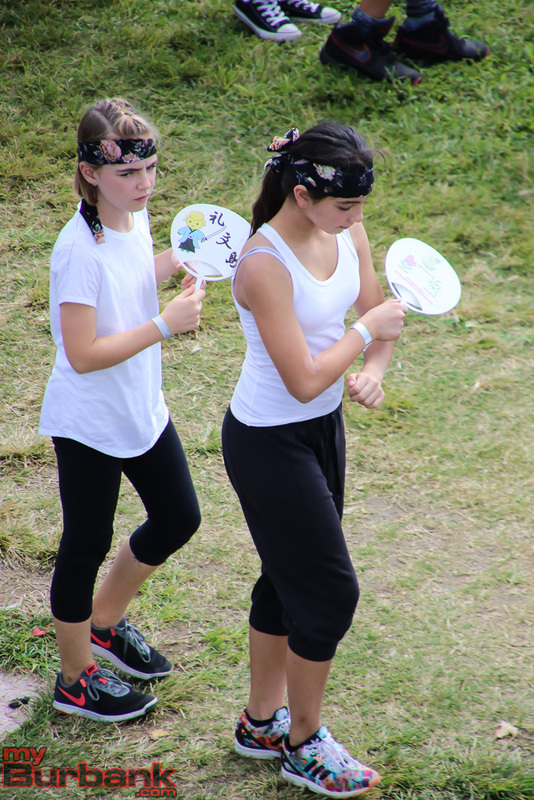 The total number of participants in the Japanese Fan Dance was 1392. 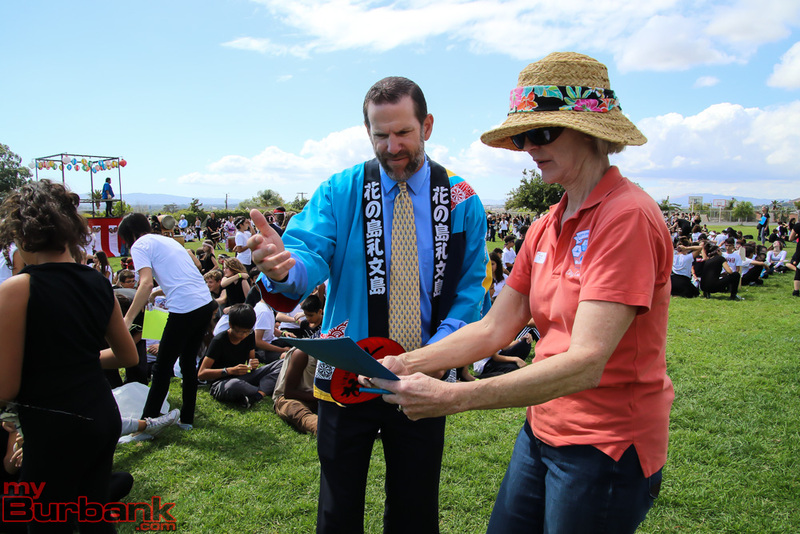 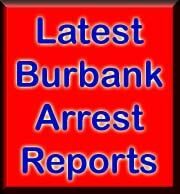 Once Muir officials send in the evidence – video, photographs and signed forms from 33 stewards and the two witnesses, Burbank Vice Mayor Emily Gabel-Luddy and Japanese Dance expert Nakamura Gankyō – the process will take several months for the Guinness World Records administrators to certify the record breaking event. 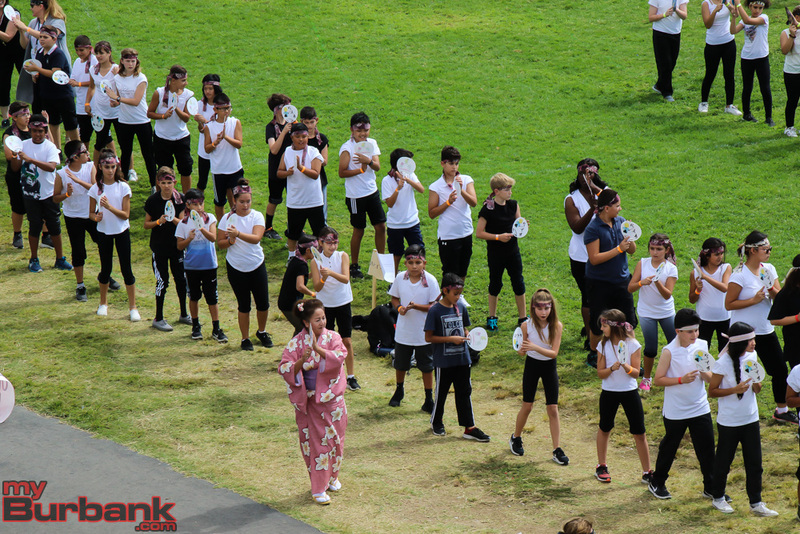 Students learned the Shin Hokkai Bon Uta dance during the previous week from dance teacher Christine Inouye and Muir Physical Education teachers. 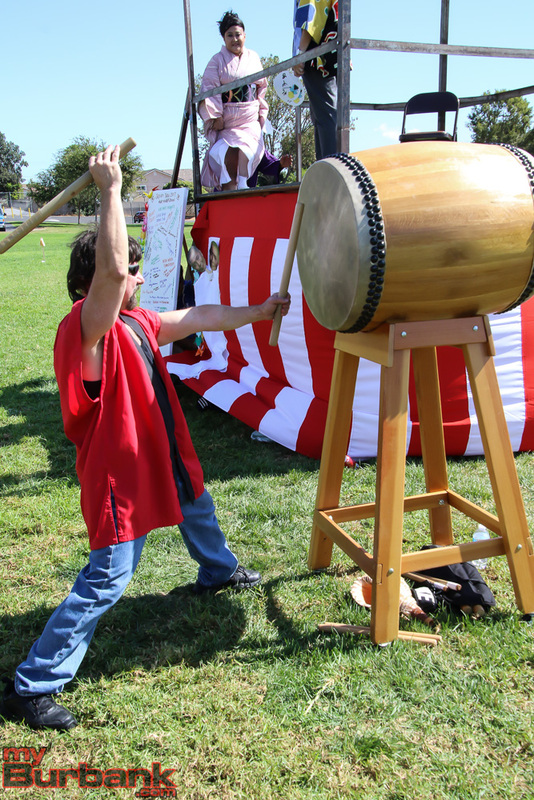 The event also included the traditional yagura tower and taiko drums, courtesy of the Little Tokyo Dance Club. 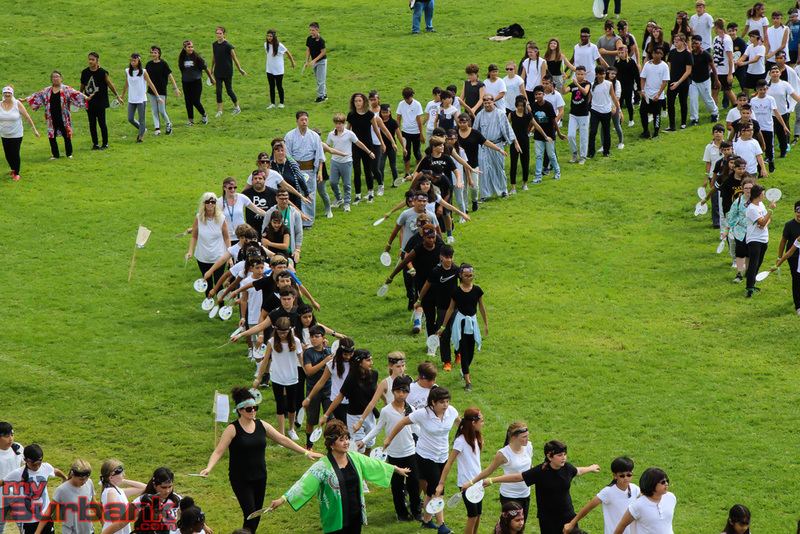 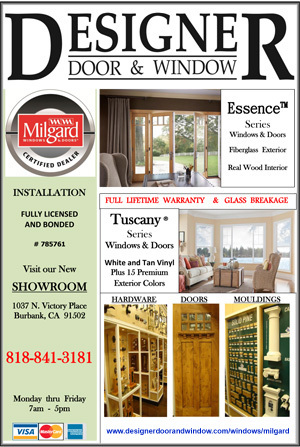 The event was sponsored by the John Muir Booster Association and the ASB – the school’s Associated Student Body group. 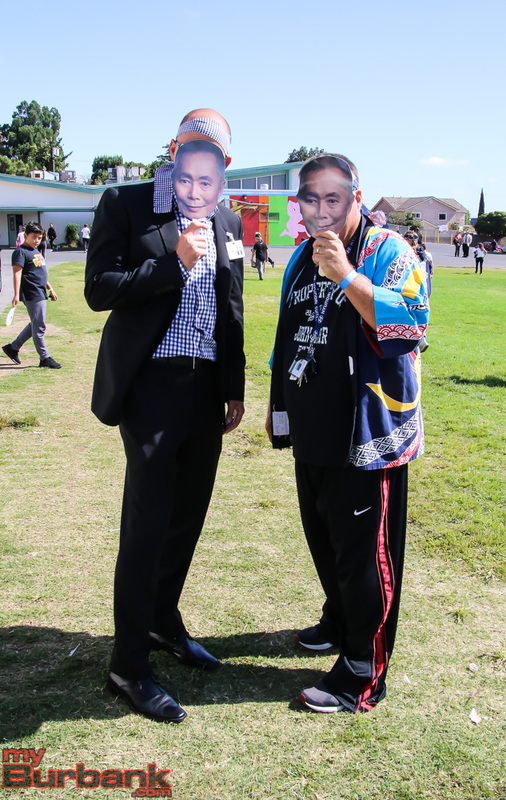 Actor George Takei donated 500 fans for the event as well. 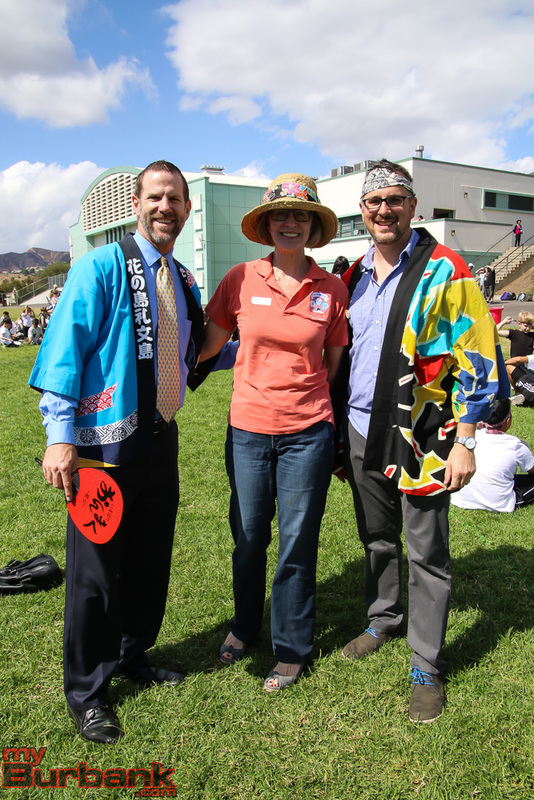 After the Japanese Fan Dance Guinness record breaking event, some students stayed after school and participated in a Kintsugi class with the Japanese visitors. Kintsugi – the art of repairing broken pottery with lacquer, typically made of gold – highlights the finding of beauty in broken things. 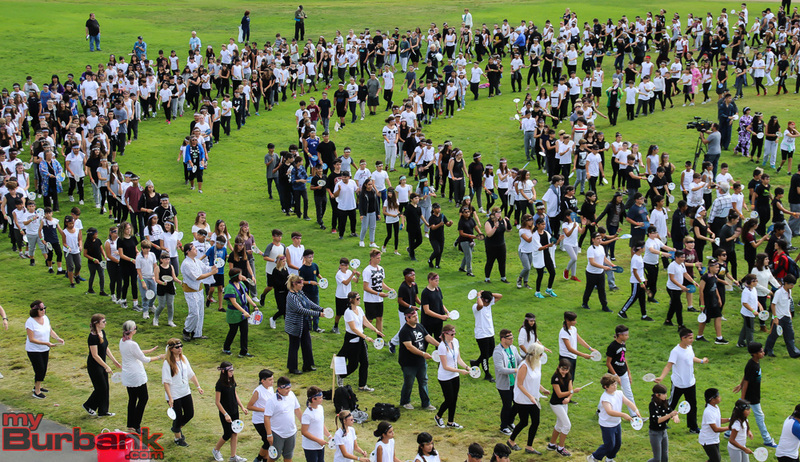 The students from Rebun will visit Joshua Tree National Park next. 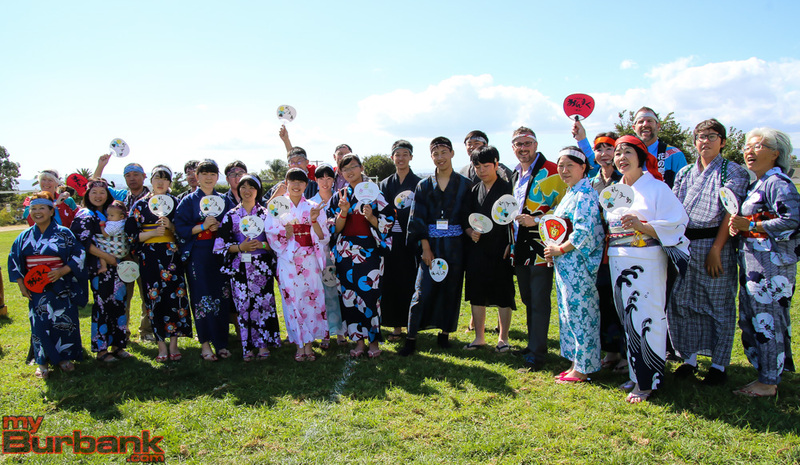 The entire island of Rebun is a national park in Japan, so every year the group visits a different U.S. national park. 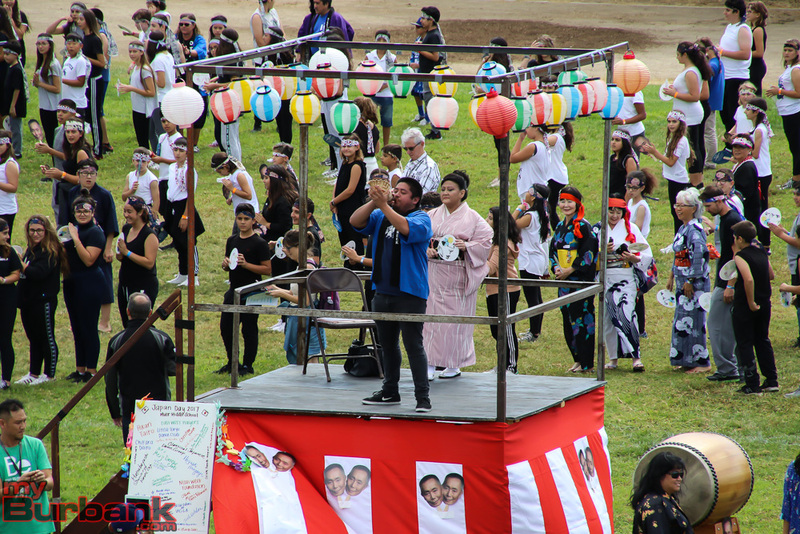 This entry was posted in News, Schools and tagged guinness world record, japan day, largest japanese fan dance, Muir Middle School, rebun on September 22, 2017 by Lisa Paredes.